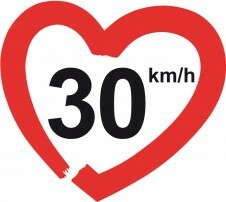 30kmh EN | 30km/h - making streets liveable! 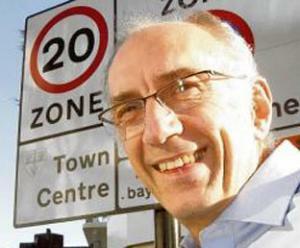 30km/h – making streets liveable! 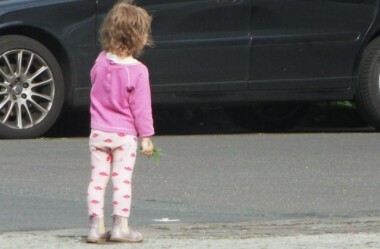 Can children be adapted to road traffic? 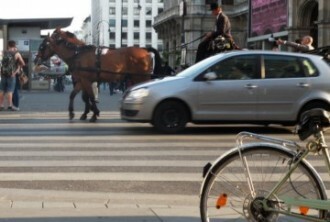 160 cities and villages in Europe have already implemented wide areas with 30 km/h (20mph). See the amazing list of the pioneers. The number of road crashes and casualties in Europe has been decreasing over the years, but the problem is still alarming. Twenty, thirty, or forty? How many European municipalities have already implemented a wide 30 km/h speed limit on their road network? We did some research on those pioneers, and this is what we found: an amazing number of one hundred and sixty municipalities, in fifteen European countries! We feel this is just marvellous. What an amazing conference that was. 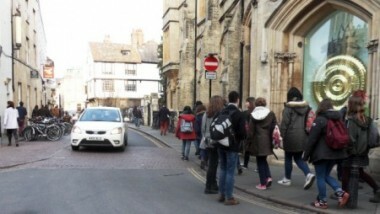 More than hundred campaigners for an urban 20 mph (30 km/h) speed limit gathered for their annual meeting in the beautiful historic city of Cambridge. They were discussing current implementing projects, like in Cambridge, Manchester, Liverpool, London, and new plans, celebrating their campaigner of the year and other successes, and informing about aspects of special importance such as the effects of 20 mph on public health. Rod King, our British member of the ECI citizens´ committee and Founder of “20sPlentyforUs“, is invited to Buckingham Palace today and receiving the very prestigious award “Most Excellent Order of the British Empire”. Rod was already on the Queen´s list of honoured guests when she celebrated her birthday in June 2013. He is awarded for his services to Road Safety. Congratulations Rod! We are excited for you and very proud to have you in our partner network and co-operate with you! Enjoy the …. Our signature gathering for the ECI „30 km/h – making streets liveable!” came to an end at midnight of 13th November. We are now busy preparing next steps of the ECI procedure and also are waiting for some letters with signature forms which are still on their way. A big thank-you goes to all who have signed our initiative. 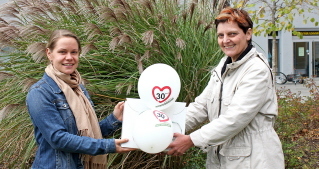 And very special thanks go to all who have supported our campaign as activists spreading the word in so many cities and villages all over..
30 hours left for signing for 30 km/h! The very last hours for our signature gathering have commenced. The online collection software will go off air at midnight tomorrow (13.11.2013) and the collection on paper too. A couple of days before, our co-ordination office got a big packet with signatures as one can see on the photo. We are now beyond 44 000 signatures! You can still sign if you haven´t done it yet, and don´t forget to make one more person sign on the very last day: tomorrow! Should you have a list on paper, please could you send it in now? The address is written on the form. Thank you very much! Breaking news: legislative proposal for a 30 km/h speed limit in Italy! Can you believe it? The Italian Parliament has received a package of legislative proposals for more sustainable mobility, with a 30 km/h default speed limit as central proposition. Other proposals are cycle lanes instead of parking space on the right side of the roads plus measures for an improved protection of pedestrians. The package has been delivered to the parliament by the Italian municipalities (Associazione Nazionale Comuni Italiani / ANCI) on 31st October.